Actually, you may want to put some of it on your own Santa list because they’re so cool but yes, they can be a little creepy and can sometimes be a little too personal. All of the great “toys” are simply logical extensions of technology you’re begging to use yourself and will help your kids be light years ahead of you when they’re your age! Today is nothing like when you and I were growing up and when we were bored, our folks told us to either: A) go watch TV (later, we were told that was bad for kids) or B) go play in the middle of the street. We always seemed to take the third option – go out and let trouble find us (It was never our fault!). How did we get to this “start ‘em right” point? When our kids were growing up, the Internet was almost everywhere. Sure, it was slow in some places but clunky computers let you visit almost anywhere in the world. The newest crop of kids has been connected from the beginning. They have slim computers, cool tablets and smart phones almost from the beginning – even though parents may put some restrictions on how long they use the devices and sites they can visit. We don’t call kids “digital natives” for nothing, you know. Many kids are Internet users before they learn to walk. 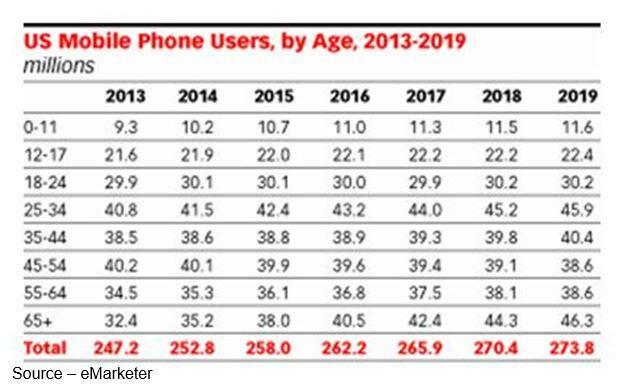 And the age at which kids get a smartphone is creeping downward. Mobile Kids – Parents are giving their children a smartphone at an earlier and earlier age so they can stay in touch with them for their security and for other uses. 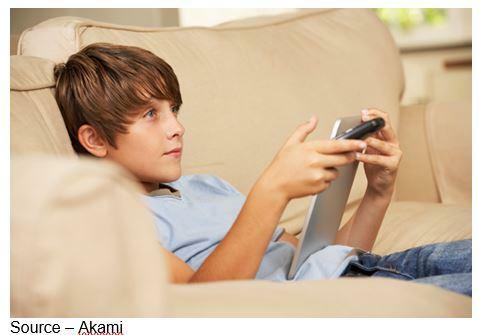 Entertainment Tools – Kids were born connected today and the digital natives don’t seem to care how they get their entertainment – TV, tablet, smartphone. In fact, many of them use all three of the communications/viewing devices at the same time. Although all of that connectivity is to help the kids with school and their education, you do know they also watch their favorite content as well, right? At the end of last year, Nielsen noted that kids 2-11 years old averaged 19 hours 15 minutes of live/time-shifted video content. While the TV was first choice for 67 percent, that was down 13 percent from 2014. In PwC’s study, kids spent 15.5 hours consuming media with over half of it (53 percent) streamed (a bad omen for traditional TV). And when it came to short videos – YouTube and now Facebook Video, 53 percent used their smartphones and 32 percent used laptops. In addition, they increasingly play “educational games” like Minecraft and other “reward” challenges on the devices. Digital Tools – Youngsters learn to multitask early using their phones, tablets and computers for education and entertainment. It’s becoming more difficult for parents to get them to disconnect. Good for the kids, right? Well, Dr. Peter Whybrow, Director of Neuroscience at UCLA, calls the screens “electronic cocaine,” Chinese researchers call them “digital heroin” and the Pentagon’s head of Addiction Research refers to them as “digital pharmakeia” (Greek for drug). Maybe that’s why Silicon Valley bosses and engineers send their kids to low-tech, no-tech private schools like Waldorf or Montessori schools and similar institutions. The new toys that were introduced aren’t inherently evil; it’s just that parents have to have a serious sit-down talk with the kids to let them know that too much of a good thing is too much. Bill Gates and Steve Jobs both set limits with their youngsters, including no-tech sit down dinners, which I personally would like to see more adults practice when they go out for dinner (Yes, take the stupid cap off too!). 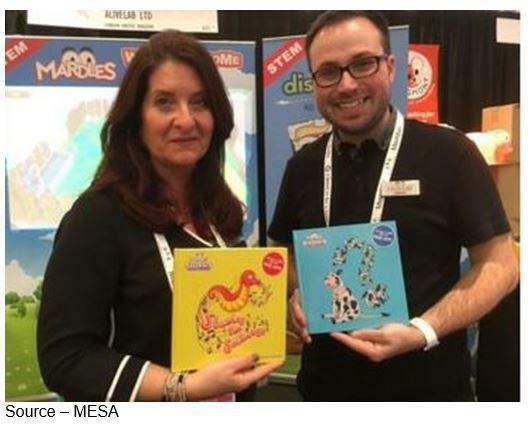 The NY Toy Fair introductions were great as long as parents understand the stuff may be cool but supervision and limitations have to be observed. And yes, there are “a few” risks. One of the neatest items at the Fair that most parents would like their kid to have was BB-8. 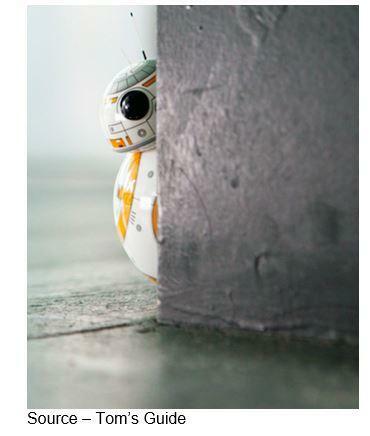 Yep, fresh from Star Wars: The Force Awakens, the little guy responds to some select voice commands and uses sensors to follow you around. He’s a helluva’ lot of fun and just a great way to start your youngster’s understanding that robots are your friends and not like the Terminator. Of course, BB-8 wasn’t alone at the Toy Fair. There were robots and robot kits that parents will want to consider this Christmas for their kids that let youngsters develop their engineering and programming skills for the future. Now I don’t know about you, but this year’s version of “everyone’s favorite talking teddy bear”, Teddy Ruxpin, looks a lot like Ted in Universal’s 2012 movie. You know, the crude teddy bear that became John’s inseparable beer-drinking, TV-watching, inappropriate-acting companion. The new Teddy Ruxpin has a motorized mouth, LCD eyes with 40 animated expressions and touch sensors. Balancing “education and fun”, Teddy comes with 10 preloaded adventure tales as well as downloadable stories he can spin for your kids. Actually, at $99, he’s a pretty cheap babysitter and a time saver for multi-tasking parents who don’t have time to read to their kids. At least you’ll know he won’t help your child understand how to talk Uber-isms. But someone will probably figure out how to hack him and give him some new adventures to share. Oh yeah, that’s right; they did already! Of course, there were other cuddly teddy bears at the Toy Fair that were smarter, more interactive. If they can talk, they will! We don’t gender-classify toys, but what little girl wouldn’t want the latest Barbie … the Hello Barbie Hologram? Think of her as a child’s version of Amazon’s Alexa or Apple’s Siri. Ask her things and she answers. Or tell her to remember certain things, done. That’s right she learns as she goes along. You can be certain Mattel learned from their earlier Hello Barbie experience when she was capturing all of that data so the company could better meet the wants/needs of the kids. Oh they also found only out there were a few security holes that could be exploited by nasty folks. VTech learned a lot from last year’s hacking adventure when more than 6.4M children’s account information was stolen. The new child-safe, walled garden solution gives them an ecosystem that’s a lot like you might find with the iPad or Amazon Fire. Of course, as the kids get older (or figure out how to work around stuff) they can go outside the VTech ecosystem and message browse the web and do things … with a parent’s/guardian’s supervision. Because of the robust rubber bumpers, the tablets aren’t as sleek as the iPad; but still – with adult approval (they say that a lot this year), they can send text, photos and images to friends. That’s right, pictures too because it has a swivel 2MP camera as well as 8GB of on-board storage. Need more storage? Slide in up to 32GB-capacity microSD cards. Now I know there are a whole lotta’ nay-sayers who are positive VR (Virtual Reality) is going to fall on its proverbial ***. Just because a gazillion HMDs (head mounted displays) haven’t been bought and half-a-gazillion games and movies aren’t being viewed right now, it’s obviously a failure. We saw some fantastic trailers of the stuff that are coming out this year at Sundance. We’ve seen the breath-taking work that Lucas Wilson, of SupersphereVR; Fred Beahm, of SplicedFilms; Nick Bicanic, of RVLVRLabs; Lewis Smithingham, of 30Ninjas; and other creatives have done who have mastered the new visual storytelling techniques. Mark Poppin, at BabelTech Reviews; and pixel researcher Jon Peddie keep telling me the new VR games will keep you immersed in the action for hours; and like the VR films, it’s never the same thing twice! So obviously, VR was big at the NY Toy Fair! 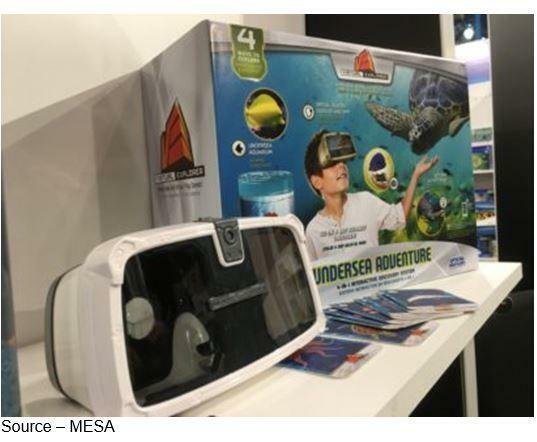 Uncle Milton and Sakar were just two of the firms that announced products that let kids slip into a virtual world to have fun, enhance their education and give them new ways of thinking/viewing the world around them. The Discovery line already comes with a selection of 360 apps and all of the manufacturers said they’re busy ramping up even more adventures, opportunities for the holiday. Sure, we know, those are at the top of dad’s gift list for the 4-month old. The category that has made me reassess how big the AR (augmented reality) is going to be was the proliferation of AR stuff for kids. AliveLab was just one of dozens of firms that showed off an array of AR things – 20 masks, 4 coloring books, 3 sticker books, 5 storybooks. It’s a great way to leverage technology and make it an integral part of a youngster’s educational and play time. Between VR and AR, your little ones can grow up with a world of “different” friends in totally different places that only they know … jeezz! But the “toy” that any dad would like to help his youngster with is obviously the Air Hogs DR1 FPV Drone with headset! Come on, we’re talkin’ a super cool micro drone that not only includes a controller, but also a VR headset. Use it with your (ooppss, his/her) smartphone and you can fly and maneuver at blazing speeds. The Air Hog’s camera sends live video back to the headset so you experience everything just as the pilot would. Of course, if you’re afraid of heights, they have a car version too. Smart toys are projected to be an $8.8B business by 2020 because kids are growing up connected and parents are lusting for the next great tech distraction (educational, play thing). The biggest leap of faith for most parents is to make sure the kids’ safety and privacy are protected, which is no small task. In the U.S., we have the Children’s Online Privacy Protection Act (COPPA) and every country has very strict regulations and protection agencies that pay close attention to little things like hackability, information gathering and data usage. That’s why even before the New York Toy Fair, Germany advised parents to ditch their kids’ blond, preppy doll My Friend Carla because “she” was asking youngsters personal questions like favorite shows and toys and then selling that information to people who might find it useful. The folks at Woobo, which stores information so it can learn to be a voice assistant for your child, are walking a fine line. 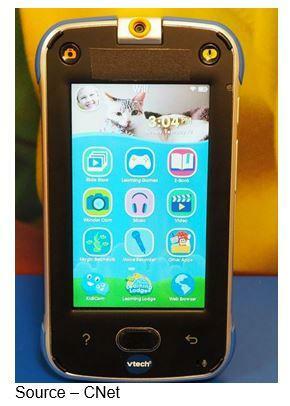 The screen face, touch sensor belly and microphone in the head “learn” how to talk with your kids. It uses AI to learn how to process what is said, which the company says is the same thing Alexa and Siri do. 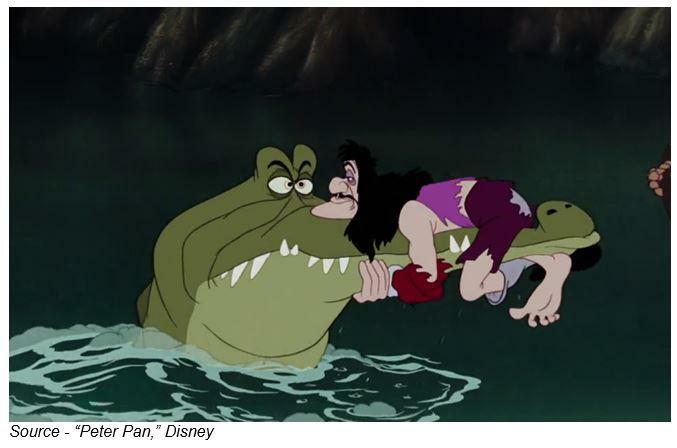 Of course, those two aren’t targeting impressionable, trusting kids. Woobo is going to abide by COPPA regulations and delete the recordings within 30 days. Eventually (they hope), the AI learning will be so good it won’t need to store anything at all. 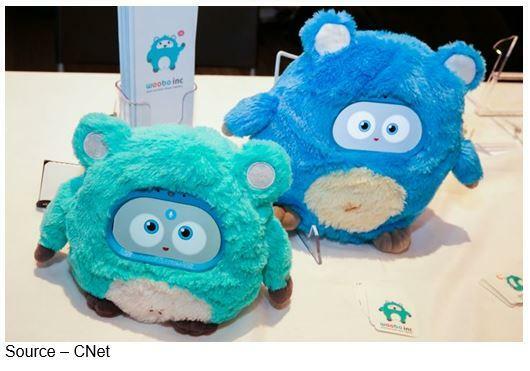 The smart toy makers say parents don’t really mind companies watching and checking in on their kids as long as they know about it (no ****?). In the meantime, they’re going to build in safeguards, add robust security and be very transparent with parents.